Find Littleton, CO Homes for sale. View Photos, Maps and MLS Data Now! Grant Ranch - Sit on your decks and enjoy the incredible sunsets and Colorado beauty! Perfect for entertaining. MLS#6374072. RE/MAX ALLIANCE. Excellent Littleton Public Schools. Welcome home! MLS#3884806. RE/MAX Professionals. Ken Caryl Ranch Plains - Minutes to shopping/ restaurants and highway E- 470 to the ski areas. MLS#3856657. COLDWELL BANKER RESIDENTIAL 24. Meticulously maintained, clean and move in ready or bring your contractor and add on! MLS#7392323. Fox Trail Realty LLC. 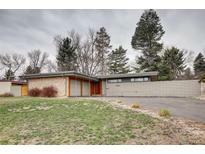 Conveniently located one mile to Old Town Littleton, the Platte River Trail and light-rail, this house sits within Arapaho Hills, an historic district on the National Register, and is served by the Littleton Public Schools. www.arapahohills.org MLS#1570896. HomeSmart Cherry Creek. Columbine Knolls - Shopping, dining is hop away at Southwest Plaza and Aspen Grove. MLS#8479525. NEW PERSPECTIVE REAL ESTATE. Water's Edge - Brand NEW furnace and AC, New Roof, New Exterior paint. MLS#7345624. Brokers Guild Classic. Quincy Lake - Close to walking trails, Harriman Lake, Community Park and easy access to downtown and the mountains! MLS#1537455. Altitude Property Group. Enjoy the amazing neighborhood as you spend time outside sitting on the brand new front wrap around deck, complete with a large backyard and multiple garden levels. MLS#6105480. Keller Williams DTC. Don't forget the rare 2-car garage with plenty of space for storage, vehicles and other toys! MLS#7438422. LoKation Real Estate. Easy access to C470, light rail, Downtown Littleton, Platte River Trail, and Chatfield. MLS#9912961. HomeSmart Cherry Creek. Columbine West - OPEN HOUSE SATURDAY 4/20 from 12-3. MLS#4276004. RE/MAX Professionals. Province Center - Sellers need to find a successful replacement home and ask for flexibility with timing. MLS#7106223. Porchlight Real Estate Group. Conveniently located close to C470 & Hwy 285-easy commute to Denver & ski resorts. Red Rocks & Bear Creek nearby. MLS#6364278. LIV Sotheby's International Realty. Southridge - Great neighborhood, close to Rock Canyon High School, hiking trails, local shops & amenities. MLS#4055132. Redfin Corporation. Extra parking space for recreation vehicles. Great find in Columbine Hills! MLS#8502398. Equity Colorado. Roxborough - Large garage, upper level laundry, certified roof and HVAC system. Don’t miss this!! ! MLS#9290859. Keller Williams DTC. Roxborough Village - Large windows facing the beautiful mountain view, new 9ft.sliding door in kitchen nook, large dining room, backyard deck backing the walking trail and open space, newer roof, newer furnace and air conditioner, lovely front covered porch, move in ready, 4 parks nearby, hiking and biking trails, this beautiful home conveniently situated near Roxborough State Park, Arrowhead Golf Course, Waterton Canyon, and Chatfield Reservoir... A must see! MLS#8102745. LIV Sotheby's International Realty. The upgrades and details are too much to list this is a must see home! MLS#1774158. MB MILE HIGH REAL ESTATE. Walking distance to Lilly Gulch, close to Clement Park. Incredible location, priced to sell! MLS#3793795. Five Four Real Estate, LLC. Close to trails, parks, schools, shops and restaurants...this location is amazing!! ! MLS#3482730. RE/MAX Professionals. Come check it out in person. Welcome home. MLS#9819545. Keller Williams Executives. Alkire Acres - Quiet cul de sac living with plenty of square footage to spread out plus a finished basement! MLS#3482855. Frontier Capital Group LLC. Roxborough Village - Must see - this will go fast! MLS#4461971. LIV Sotheby's International Realty. Meadowbrook Heights - Enjoy the benefits of South Suburban rec programs, open space, miles of trails, Aspen Grove & Light Rail! MLS#1538209. RE/MAX Professionals.